In 2009, a state-led effort to construct a set of high-quality standards in mathematics and English language arts and literacy began. The result was the controversial Common Core State Standards Initiative. And informed by other top performing countries in order to prepare all students for careers in our global economy and society. Not unlike AWS’ own SENSE program, the intention was to establish fixed national standards for education that ensure all students are receiving the same core education. However, where SENSE establishes guidelines specifically for welding programs, Common Core applies to the entire education system from Kindergarten through High School graduation. So what does this curriculum mean for students interested in careers in welding and other skilled trades? Proponents argue that the standards will help to remedy a widening skills gap in American Manufacturing. A report on talent in the manufacturing industry published by Deloitte and the Manufacturing Institute reveals that students are entering the job market with extremely poor math, science, reading and writing skills that are critical to skilled trades. The Common Core Standards are designed to address this fundamental deficiency. In fact, a 2013 publication from the Southern Regional Education Board suggests that Common Core standards may be a boon to students on the path to skilled trades for precisely this reason. The controversy surrounding the Common Core Curriculum has been strong enough to warrant a “myths vs. facts” section on the program’s official website. However, critics say that bringing student coursework in line with the expectations of standardized testing and college admissions boards limits the educational prospects of students that have decided to pursue a career that does not necessarily involve a college degree. This perceived bias toward preparing students for standardized testing and college readiness are two of the program’s biggest areas of controversy. In other words, high school students should have the opportunity to learn a trade and get certified before heading out into the job market. While honest work in any form is always a worthy pursuit, fast-food restaurants and box stores should not be the only options for high school grads that have decided to pursue a non-college track. At least one state is taking this opinion to heart. In an article for Businessweek, Harold L. Sirkin tells how North Carolina is taking action to put vocational training on an equal footing with college prep courses. To some, this is precisely the kind of initiative that can successfully address the country’s widening skills gap. However, critics of common core standards insist that college-centric thinking has limited the kind of support and funding necessary for the restoration of vocational schools to catch on across the country. Only time will tell what lasting impact these relatively new standards will have on American education. Will they serve to prepare American students for an increasingly complex and highly competitive global market? Or will these standards ultimately impede a significant number of young men and women from reaching their full potential and satisfying the needs of a recently resurgent American manufacturing sector? We also invite you to explore American Welding Online, where you can find links to our blog, YouTube channel, online courses, digital lectures and other tools to help you advance your welding career. The folks that put common core together in the federal gov’t have no idea what they are doing in regard to vocational training and company needs at any level! As far as they are concerned the only path to success is through a college education! The answer to this problem and it is a major problem for our country is for each state to determine Vocational training in line with their various companies that are located in their state. This includes vocational training starting in high school and continuing into technical/vocational schools. The funding needs to be directed to these areas to help students and schools succeed and to help local businesses. Your thoughts on Technical/ Vocational schools is spot on! but I believe that schools should offer shop classes in the Junior and Senior Schools. You come out of High School with a good basic understanding of the crafts. I believe the emphasis on Common Core and STEM (Science, Technology, Engineering, and Math) should be retained but the testing should be altered to reflect both what the student HAS learned (versus the current arbitrarily set standards) and how his/her career interests change with the scope of retained information. Career based testing along with proper counseling and vocational/technical educational opportunities outside of the traditional school classroom will produce a more comprehensive work force and more worker job satisfaction leading to enhanced innovation and productivity. Meanwhile, college bound students can continue their education in the traditional manner. There is more of a perceived problem with the “Common Core” than an actual problem. Most professional educators already try to prepare students as much as possible for their next stage of life. Often times it is those in the political realm that do not understand the education system who place undo constraints on educators. Any business person knows that doing more with less is sometimes, simply not possible. There is a limit, and we are currently seeing it in the certification of instructors who can teach vocational classes. Often times, a person with skills in welding, CNC, automotive repair, building construction, and other vocational courses can earn a better income working in industry than they can working in education. This results in a shortage of qualified instructors for vocational programs. It also makes those programs more likely to be cut. I don’t know who wrote this article, but they obviously have no idea what and how Common Core teaches subjects. Math being a major part of this idiotic program, the steps that are outlined to follow for the simplest math problems are so confusing that most parents and other adults can not understand or help the students. As an individual training new welders from the ground up, I speak from experience. Our society has evolved to a point where parents only consider the four year education as a means to get ahead in this world. Yet , it is the blue collar worker who will be tasked to rebuild our crumbling bridges and roads. Too long have we looked down our noses at the guy under the welding hood, or grease on his hands. Parents , wake up and realize that little missy or jr. can make a very attractive living working both with their hands and brains, instead of trying to figure out how to get a job in art appreciation. They education our parents received by teachers that cared more for their students than their pensions , were my heros. Common Core is nothing more than an experiment, guaranteed to throw our kids further behind than ever before. Think not, just do a little homework, you’ll see. We had an educational system that performed very well, from the 30′ into the 1960’s. Schools not only taught the basics, but also Shop classes in welding, sheet metal, electronics, auto shop and others. What changed? as a Supervisor in the Construction Industry, I am finding more apprentices lack in the basic knowledge, writing, math and just pure common sense! As an Educator I think that the concept of common core has some fundamental value to students. The issue I find is that the common core is being used as an all-inclusive curriculum. It is not conceivable to me that there is a one-size fits all curriculum that will prepare all students for their futures. Furthermore, the common core was built to cater to higher order thinking, but omits the lower order levels that are necessary for a student to build up to that level of higher order thinking. For example, my daughter, in third grade, is NOT being taught to divide. Instead, she is only to understand the concept of division so that she can infer how to divide on her own. ??? If she was not being taught to divide at home by her family, the process that has been tested and proven to work would elude her. She would create some new artificially generated means that she improvises to get an answer when she finds it necessary to divide. I feel that this model is setting her generation up to be unprepared to interface with others from previous generations when they encounter simple math in the work place. Why reinvent something that already functions well. Furthermore, it is creating additional unnecessary road blocks to employment and communication where previous generations are concerned. What welder/employer wants to wait for a trainee to devise a new model to divide before cutting material? I see this causing a multitude of issues across all industries. Those previous generations hold the key to skills, which will die out, if they are not effectively communicated to the next generation. If this is the case, common core is creating an artificial communication block between generations by teaching students to think creatively, rather than follow proven effective math methodology. To abandon previous convention is a dangerous road to travel. I can see teaching creative thinking in some areas. I can definitely see problem solving as a necessary tool to success. In fact common core has many redeeming qualities. I feel it should be selectively used in addition to proven methods, with the select students that are prepared to grapple with the concepts that it outlines. A student who struggles with math will not benefit from being shown how to interpret the problem in an unconventional way. That student needs only to learn how to manipulate numbers in the most basic ways so that they have a mathematic foundation to improve upon as they get older. In my welding classes, I teach basic math principles that revolve around problems my students might encounter in the industry. We reach an impasse when my older teaching style collides with the way students have been taught math. I then find it necessary to reteach math concepts, that they should have previously encountered, so that they can follow instruction. I am only 35. I can only imagine what would happen if one of my students were to discuss math with my father. I would argue that we don’t need to fix how math and science are taught; we need to change how teachers and students interact regarding math and science. Math and science need to be effectively integrated into all areas of study, and not added as an afterthought. Again, the concept of common core, and its implementation are too very different things. Where an elementary school teacher already has a magnitude of issues to address in any given day, teaching students to invent a new method of, let’s say division, and then re-teaching the concept to show students how it has been efficiently practiced cannot effectively be achieved for all students for every topic. My daughter has been a straight “A” student in all grades and subjects throughout school. However, she told me when I asked about her learning division, “It is the same as multiplying, and I don’t need to know that.” The reality that this is the truth of how common core is being implemented is terrifying to a parent and an educator. Guess what this teacher/parent will be doing all summer. Most kids aren’t, let’s say, lucky enough to have a parent to spend the summer months drilling them over math and introducing them to the scientific method. Where will the kids that cannot follow common core, and that are not introduced to basic math going to fit into our society? When we already have a workforce that cannot count back change, and reaches for their cell phone to work EVERY math problem, why are we emphasizing creating new math models instead of showing them how math and science are integrated into every facet of our lives? Another problem I have with not only common core but what seems to be either a required (or at least widely taught approach to math) where the emphasis is on sets and doing multiplication and division by in effect adding up units, tens, hundreds, etc to get the answer instead of using the old tried and relatively simple multiplication and division methods taught 40 or so years ago. The newer system MIGHT be better for future math majors but the old system is better for trades workers, technicians and I would venture even engineers. As previously mentioned in the feature article, not everyone will, nor needs to, go to college to get a good job. Students should have more and better choices in their subjects so they can prepare in high school for differing career paths. Common Core isn’t the right way to go — give local Boards of Ed more control because they know better than the State or feds what is best for their students. I have been a Plumbing Instructor for 10 years for United Association Local 9 Plumbers and Pipefitters Training Center. We take in about 20 first year Apprentices a year. They must Apply, take a test and interview to be accepted into the program. Even after they do all that many of the Apprentices come in with extremely poor math skills. Many can not even read a rule. So for the first half a year we have to do remedial math with them. For a person that has a high school diploma and can not add fractions is a indicator that the system needs to change. There are a great deal of misconceptions about Common Core in this blog and in society. 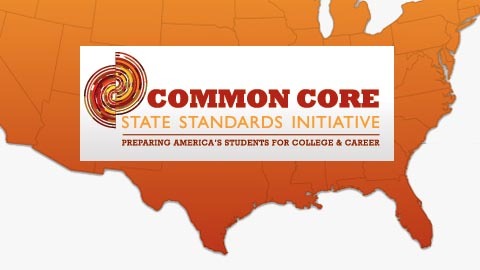 I suggest that anyone interested in the truth get a copy of your states Common Core Standards. California’s are on line or you can really get down in the weeds on the teaching of CC at www. engageny.org. I really wish that I had been taught under these standards. The whole idea of the CC standards is that what is learned in the class room can be applied to the real world. In my years of employing tradesmen and trades women, it amazes me when I encounter employees who get baffled by a tape measure, don’t know how to use fractions mathematically, haven’t a clue of the value or function of Pythagorean Theorem, can’t work ratios, think pi is edible and etc… Most of these simple concepts and practices I have used daily and many times do in my head as I work on the job, in the office and while shopping for supplies. The rest of the world is creating workers that can function at this level. A 1960’s education will not prepare workers for the world they will be expected to compete. in.Common Core might need some tweeking as we go but it is a step in the right direction and to do nothing at this point is derelict. I’m afraid you are a bit confused. I have a 1960s education and I’m confident it would still serve any of today’s students quite well, assuming the information taught was adjusted to include new scientific and other types of knowledge. The school I attended was a small rural school and there were only 27 in my senior class. It was typical of the times, and every one of the things you say today’s young workers lack was taught to me and my classmates. We also had an opportunity to learn how to use basic hand tools, operate common wood and metalworking machines, deal with simple household electrical problems and safe work practices. If today’s students don’t understand the basic concepts you mention perhaps today’s schools should be more, not less, like the schools of the 60s.